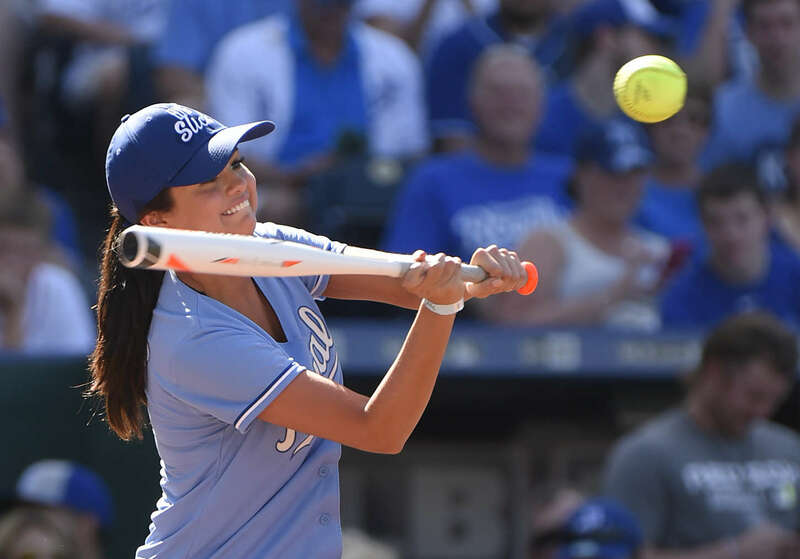 Selena Gomez took part in the Big Slick Celebrity Softball Game held in Kansas City, to support the Children's Mercy Hospital Cancer Center. The pop princess and actress arrived for the event dressed in dark skinny jeans styled with a golden bowling league shirt, knotted at the waist, paired with grey plimsolls. Selena, who is the new face of Pantene, rocked her sleek hair extensions, looked pretty with a no makeup look. The 22 year old, who turns 23 next month, also showed off her baseball skills in the ground, and seemed to be in happy spirits.